Growing up, they were the one day when everyone would consistently be home and we would usually spent the day together… at rest. Usually at least half the family napped, we would go for bike rides, trips to the beach or park, and there was usually a big meal at some point in the day. When I met my husband, we spent a great many Sunday afternoons at his Great Aunt Fern’s home. She was as much a grandmother to Chris, as his own grandmother whom she had lived with up until his grandmother moved into a full-care home. His grandmother passed away shortly after we began dating, but we still had Aunt Fern. She was a treasure. The kind of treasures that seem to be becoming more and more rare to find nowadays. She never married, but was the “sister who took care of everyone else”, as far back as anyone in the family could remember. She kept her cozy home ever-ready for visits from family and friends, and there were frequent visits. 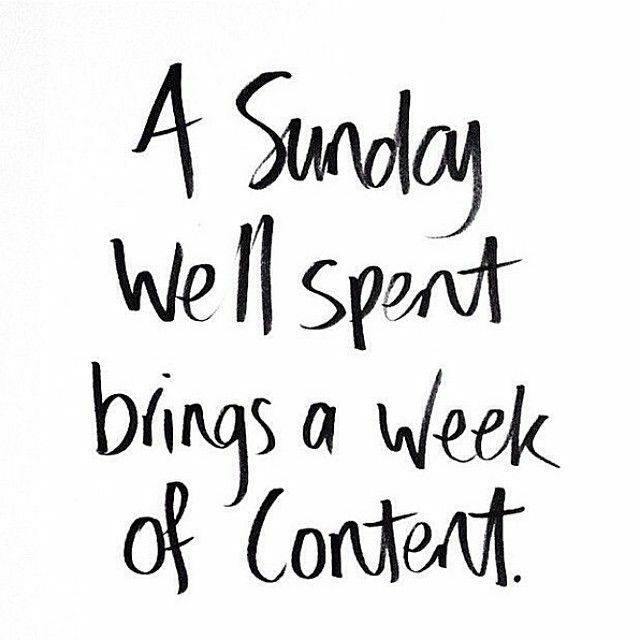 But Sunday afternoons, they were the crown jewel. By the time I met her, she was in her early 80’s, yet she would pull together dinner for 8 with ease. The table was always set with a pretty table cloth and china and the “good” silver. There were always flowers or a seasonal centerpiece and always fun stories and jokes ready to be shared or repeated. She was a lady, from the day when ladies were “ladies”. She didn’t bemoan much, but she did tell me more than once, she missed the days when ladies wore a hat and gloves to church, and to weddings. I have a picture of her in her hat at our wedding, one of my favourites. In fact she always wore a dress or skirt and blouse, with pantyhose and a small sensible heel and most often had jewelry to complete the ensemble. The first time we ever saw her in pants, was well into her 90’s after she moved into Albright Manor and was taking an exercise class. That’s right. She was always up for something fun. She insisted on serving everyone herself, and would never let anyone help with dishes, which she would do after everyone left. They were usually simple meals, full of flavour and you could literally taste the love. One of the most frequently requested was “Pot pie” – not the typical pie-variety, but the Pennsylvania Dutch version…with roast chicken. There was always dessert, and she was famous for her desserts – which were always served with coffee, in china cups. I inherited a few of these tea cups and they hold a cherished place in my home. Our favourite dessert was probably “the birthday cake” – also known as “Butterscotch Cake” which was very very dry with a brown sugar fudge icing that was slathered on thick. It was also next to impossible to turn down a slice of her pie. Any of them – which were always fresh. 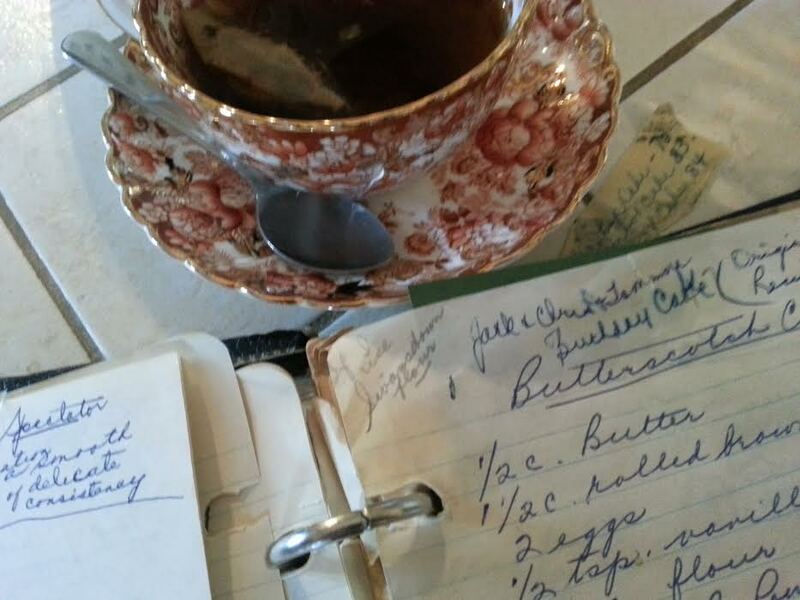 I love seeing Aunt Fern’s lovely script in this cookbook of handwritten notes. See how at the top of the recipe she noted “Jack, Chris & Tammara Birthday Cake” – she added my name too. The tea cup is my favourite from her. No one was ever in a hurry at Aunt Fern’s. She was a great listener, always punctuated with “hmm’s and Tsk tsk’s”, and would usually only offer her very direct advice when asked…directly. She was very very clever and usually was the first the “get” the joke being played, her giggle was contagious and she had a twinkle in her eye that is definitely a family trait. I see it in 2 of my kids all the time. But, like I said, no one was in a hurry at Aunt Fern’s. If you were one of the lucky ones, you got to have a nap on her couch…in the summer, baseball would be on, and in the winter, football. When there was no game…Lawrence Welk. Immediately after lunch, Dad would grab the big chair, Chris the couch and us ladies would usually go outside for a bit. From spring to late fall she had something interesting happening in her small garden, and would take you outside to take a look or harvest something. She usually had something she had decided to preserve that week – it was from her that I learned you didn’t have to can a dozen jars, but could just do one or two at a time as fruit ripened, while you were cooking dinner. When our kids started arriving, Sundays were all the more glorious for everyone. Chris is an only child, so having babies and small children around again, brought out the joy in everyone… Aunt Fern had saved the wooden block set Chris used as a child, and the boys would build towers while dad and grand-dad destroyed them, for hours. Aunt Fern would comment about the full circle and laugh…We enjoyed 12 or so beautiful years of many Sunday afternoons at Aunt Fern’s…and then the seasons of life began to change for all of us. I’ll post the rest of my story later this week….and yes. I will be sharing the recipe.